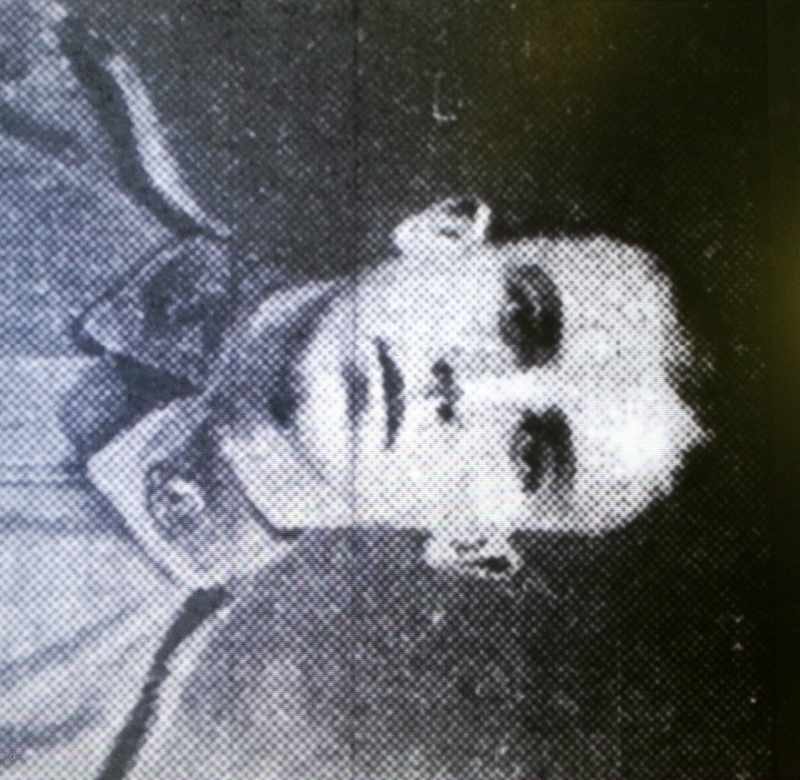 Young George was born in Rockdale, Sydney, he was only 19 when he enlisted. He was an apprenticed surveyor working for Robb & Robb and also had previous experience with the 6th Field Coy. 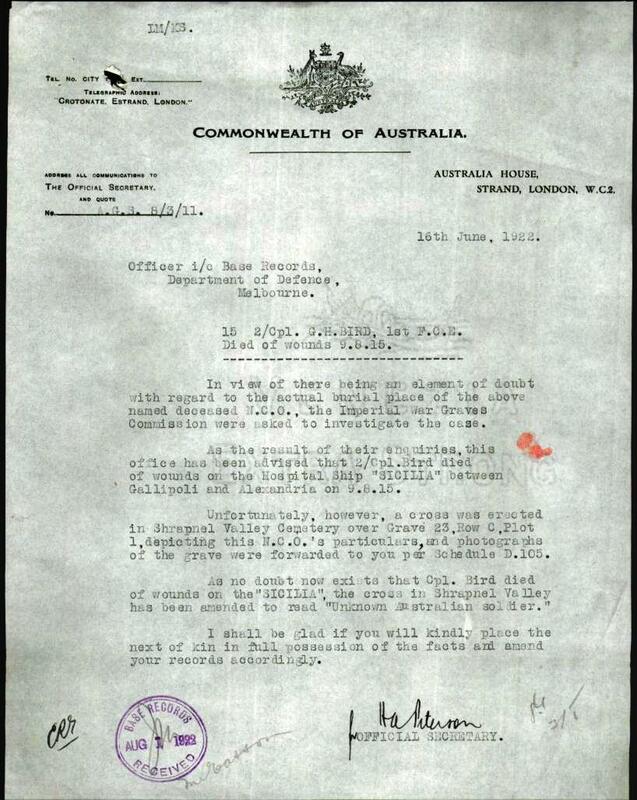 Australian Engineers prior to enlisting. He was quickly promoted to the N.C.O rank of Lance Corporal on 25/12/14. 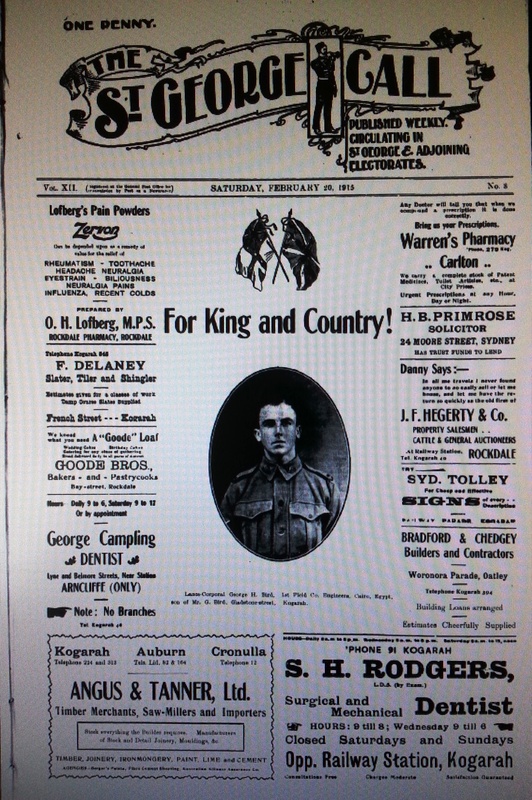 News had filtered back home that George had been promoted, and no doubt a proud moment for his family when in February 1915 his portrait under the banner “For King and Country” was front page for the “St George Call” a weekly publication. On the 9th August during the August offensive and the Battle for Lone Pine he sustained a serious bullet wound to the back and abdomen. Unfortunately young George died from his wounds on the hospital ship “Sicilia” on the way from Gallipoli to Alexandria . He was buried at sea, which was officiated by Chaplain R. E Teale. 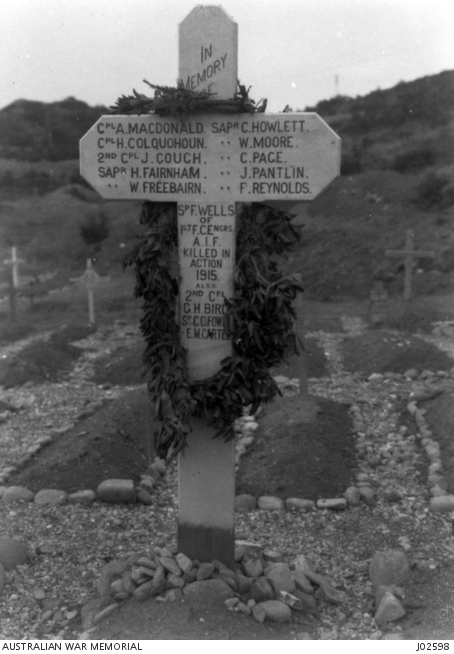 According to the letter from the Official Secretary – Australia House, London, as late as 1922, the family of George Bird were notified that the photos of the cross indicating George’s final resting place was incorrect and they confirmed that he was buried at sea and the famous Gallipoli image of the cross was later replaced by a new cross and amended to read – “ Unknown Australian Soldier”. 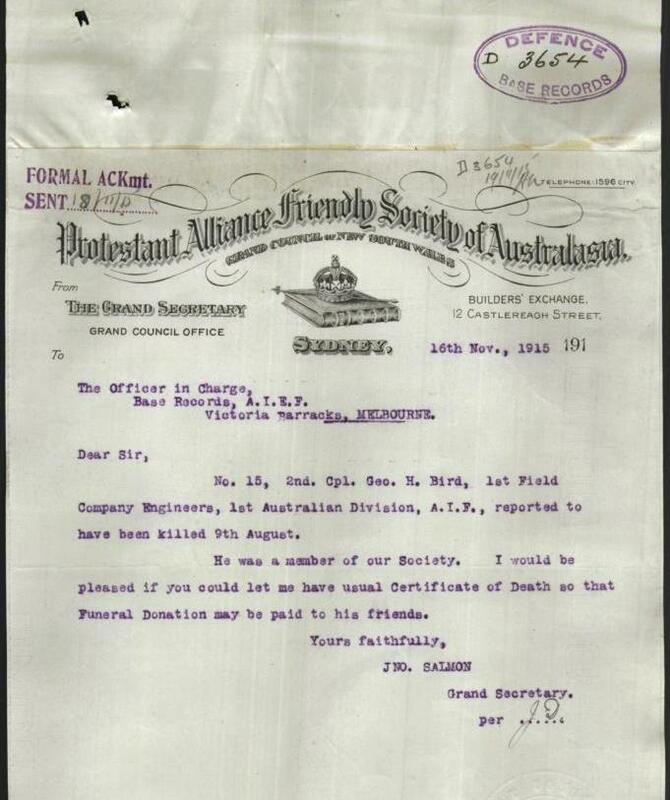 His younger brother Leslie James Bird was discharged 4 days later, possibly after news of his brothers death, as he was suddenly discharged noted as unfit for duty, but not misconduct and embarked Australia 3rd September 1915. George was a forward thinking young man, his will and his insurance planning, testimony to his plans and provision for family should he not return. He was a member of The St. George Lodge, No118, Protestant Alliance Friendly Society. This was a friendly society, with the aim of providing its members with benefits such as sick pay, funeral allowance and medical attention. These were very popular in the day and proved successful. 1st Field Coy. Engineers. 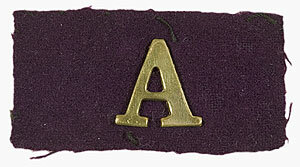 1st Australian Division, died of wounds received at Gallipoli. August 9, 1915.
dearly loved eldest son of George and Catherine Bird, of Kogarah, in his 20th year. He hath fought the good fight. Inserted by his sorrowing parents.